Peep toe boots with a block heel and open back are going to be this coming seasons must have shoe. For me, they’re the perfect transitional shoe, especially if you live in the UK. With just enough foot on display to let your feet breath but without allowing you to feel too exposed. They’re also great at hiding those pesky bunions! If you’re really trendy you might even want to try and seek out peep toe boots with a cleated sole. 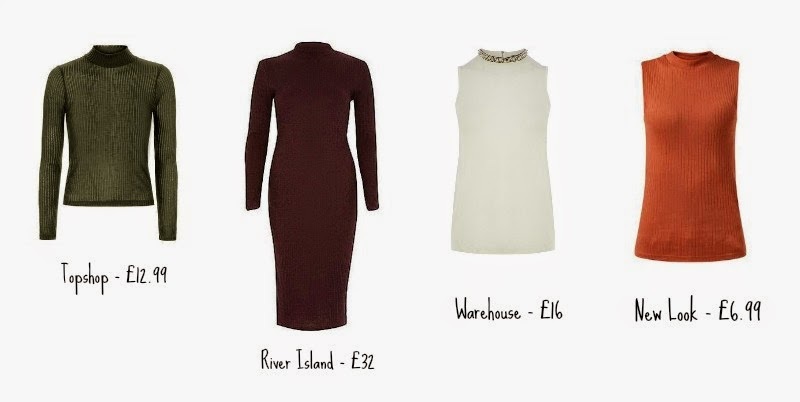 Psst..they’re already in River Island! Fur gilets are out and tailored sleeveless coats and jackets are in. Layer with the aforementioned polo necks and you’re half way there. 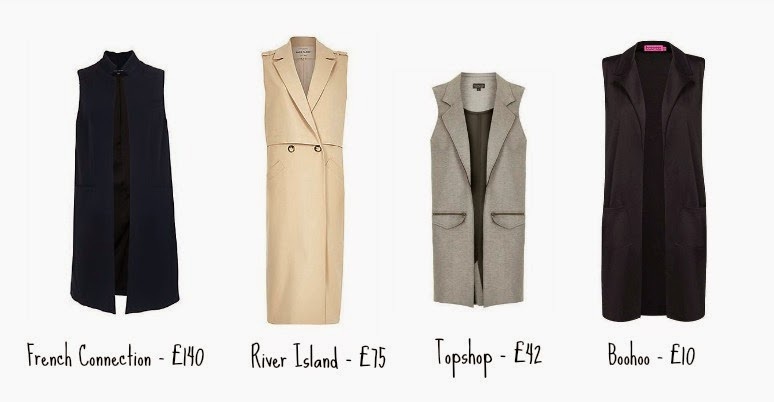 Missguided have some brilliant tailored jackets and even a style steal of Kylie Jenner’s Camel sleeveless tailored coat. Be it, a trench coat, duster or blazer, sleeveless is the way to go. If you’re stressing about bingo wings, remember layering is the way to go. For this season, this crisp, clean and cut when making your purchases. Break up your outfits with layers and colour blocking. I’m definitely predicting ‘Nouveau Luxe‘ will be taking the high street fashion world by storm this Spring. What do you think of my predictions? Would you wear them?